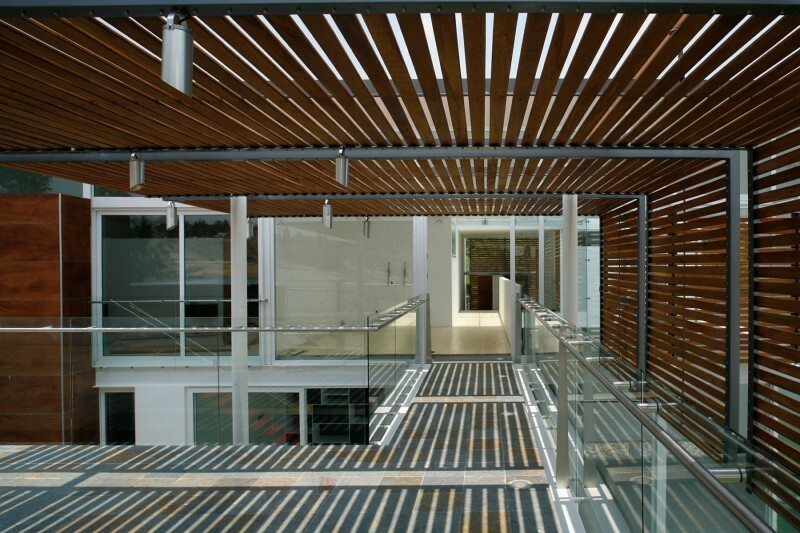 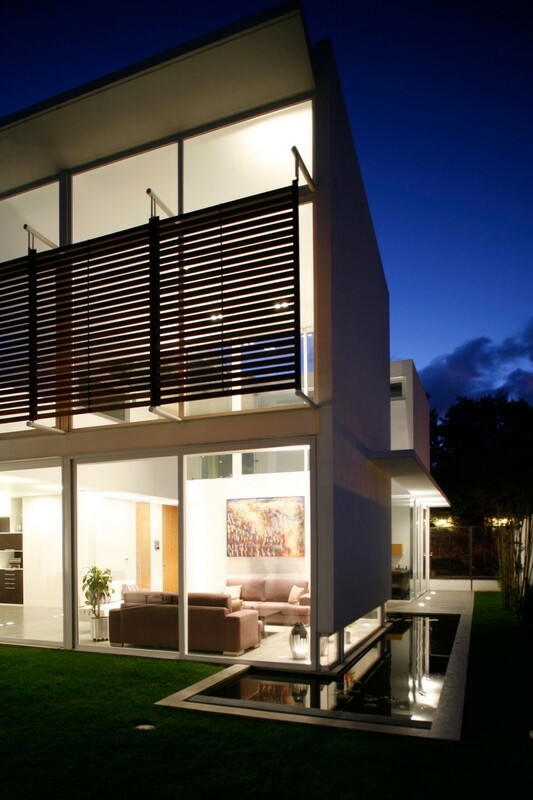 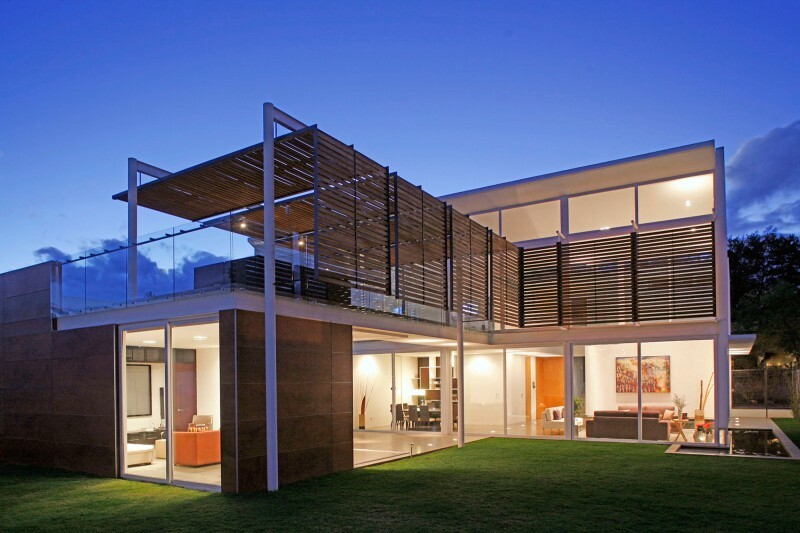 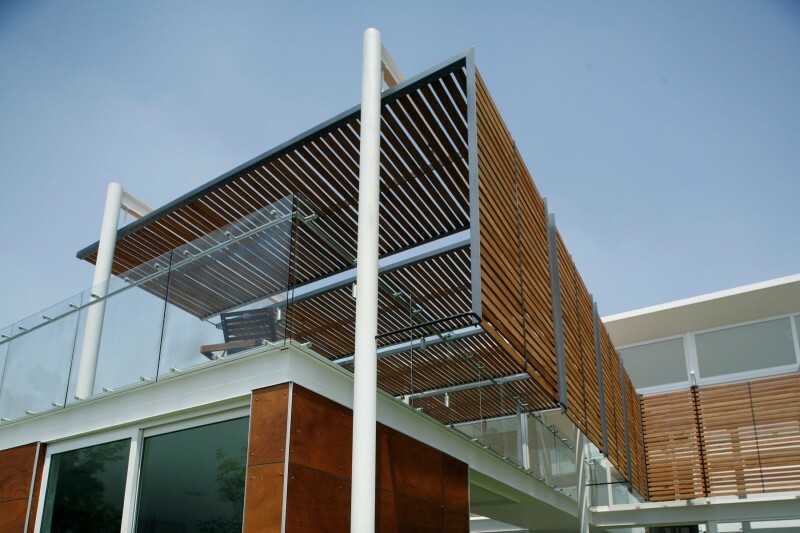 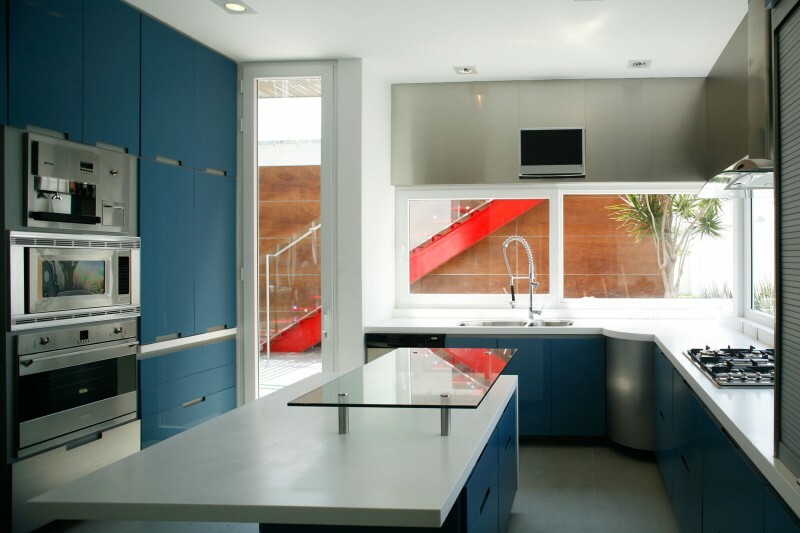 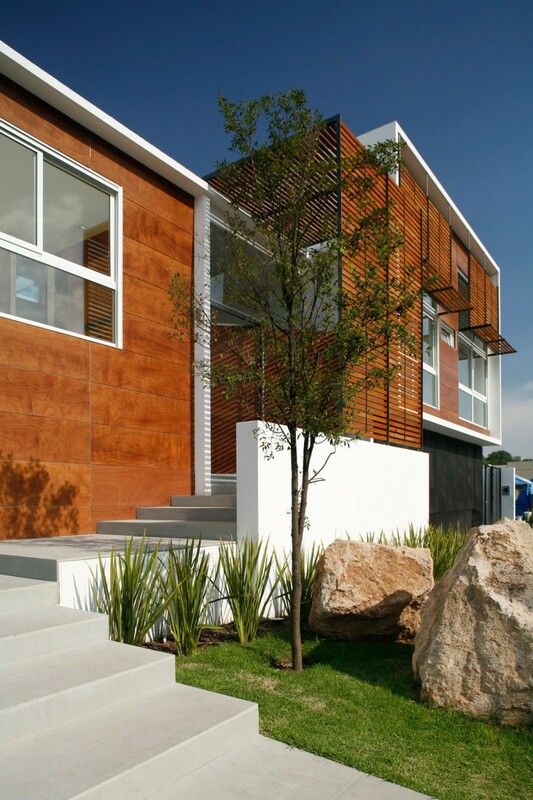 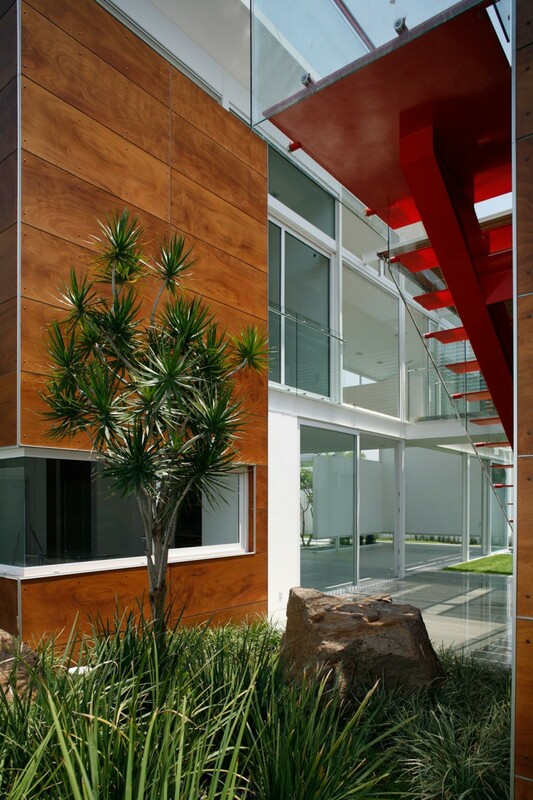 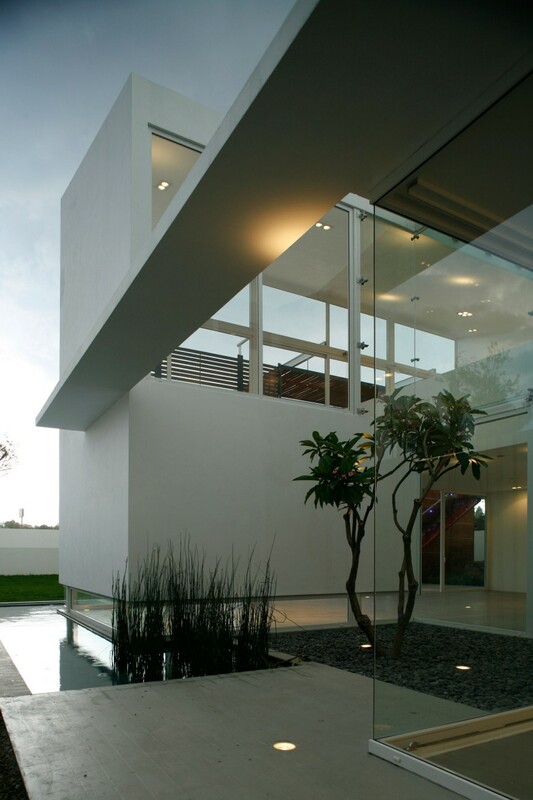 Casa Quince was constructed by Echauri Morales Arquitectos and is located in Zapopan, in Jalisco, Mexico. 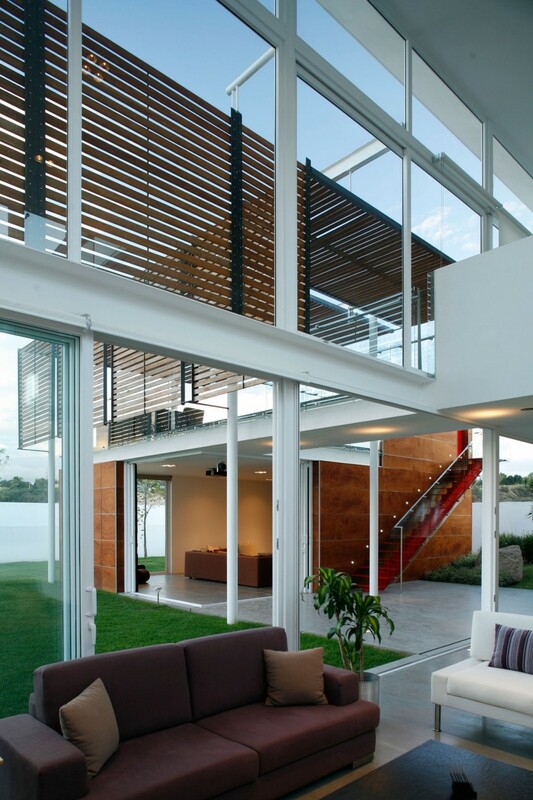 The home is modern and minimalistic, allowing the structuring created with wood, steel, and glass to speak for the character of the home. 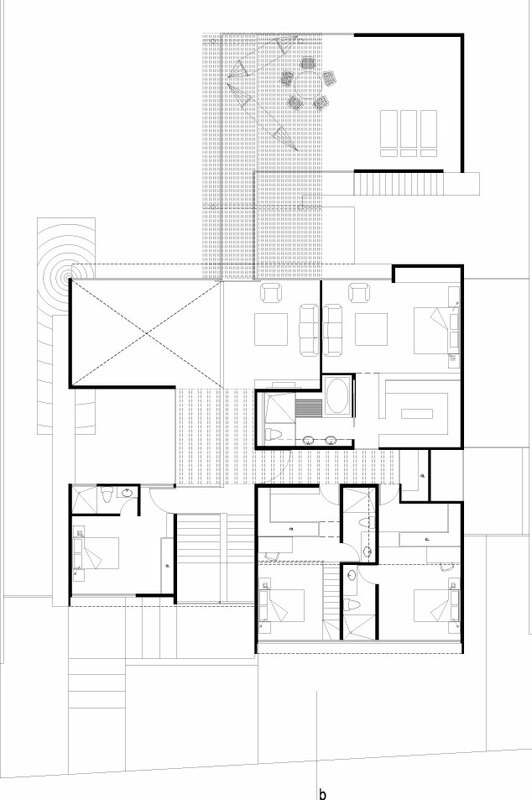 “The proposal is structured conceptually based and four different types of envelopes, boxes that intersect and overlap from the hosting space, and the intention sought. 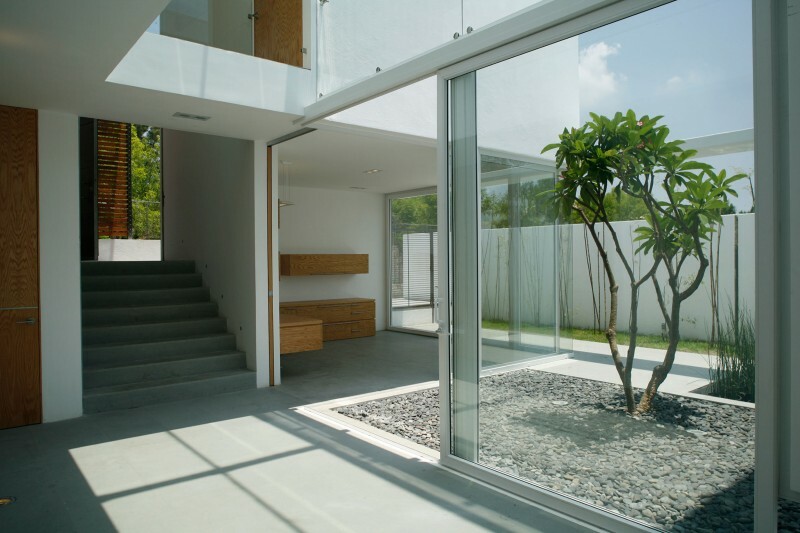 Thus we have boxes of glass, concrete boxes, wooden boxes where some are solid and others are crates. 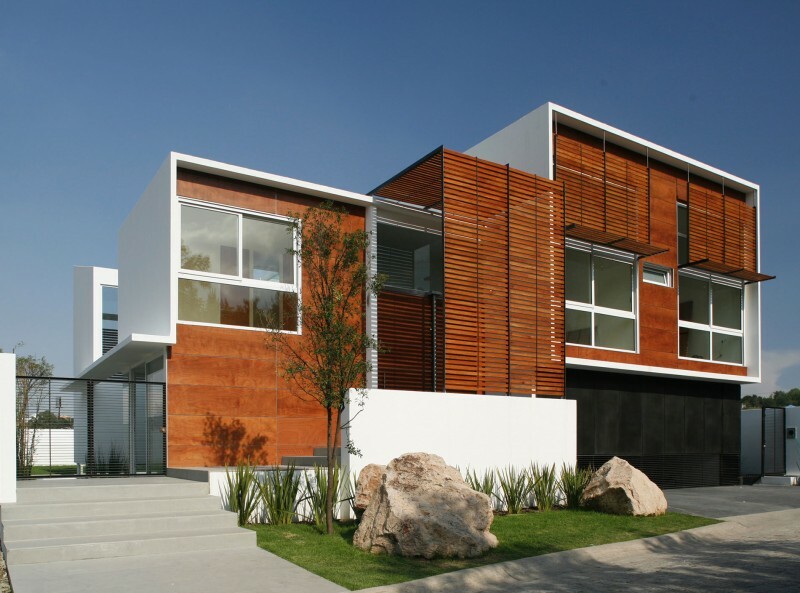 We searched for a measured house, clean of artifice, honest, clear and easy to read, but just as strong and forceful when it comes to having light be the protagonist, the tracer of contours that define the public and the private. 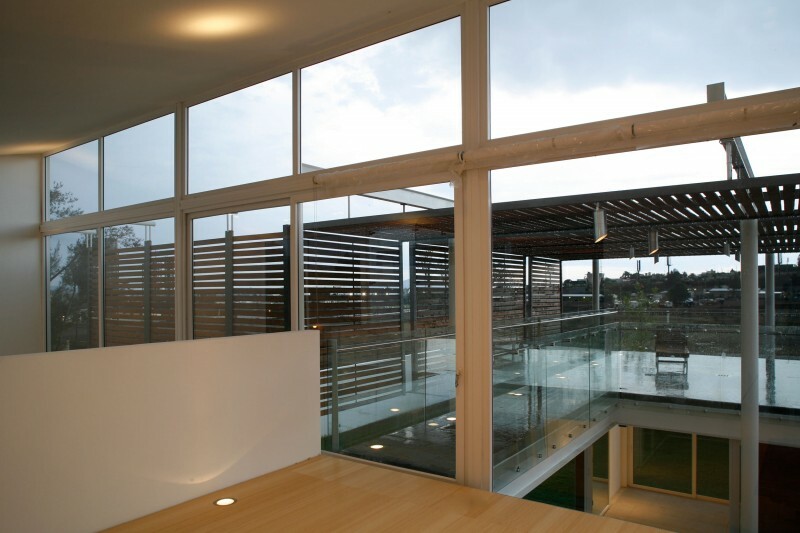 The body of the construction is presented as high volume where the obtuse obligation imposed by the regulations to have an area of ​​sloping roofs gave us the opportunity to achieve inward inclinations, which opens space in large glazed areas, this volume joins another added flying walkway that leads to a roof terrace converted upstairs veranda that is the playroom. 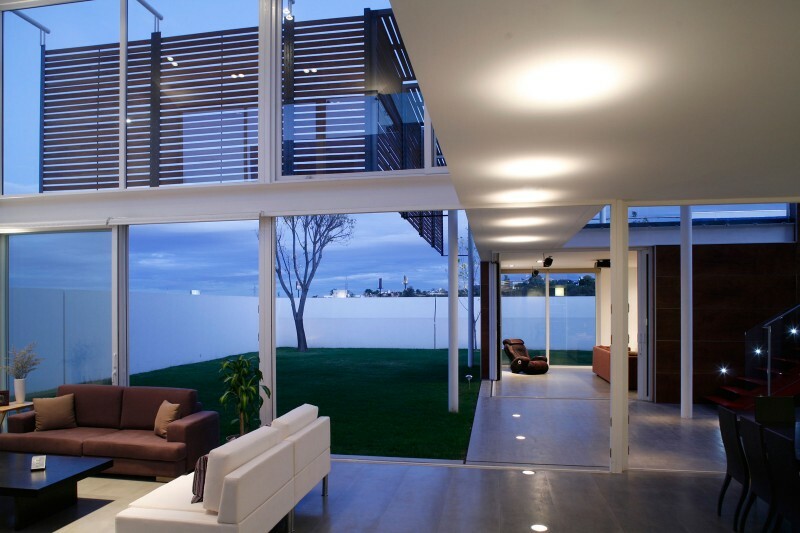 A house that looks to the sky, that incorporates it to life and daily activities.